A mouthwatering blend of cranberry, plum, and cherry scents combine to create a sensory delight. An indulgent foot soak, mask, scrub, and massage will moisturize, exfoliate, rejuvenate, brighten skin, and satisfy tactile and olfactory senses in a variety of aromas — a sweet, fruity treat for your clients. 1. 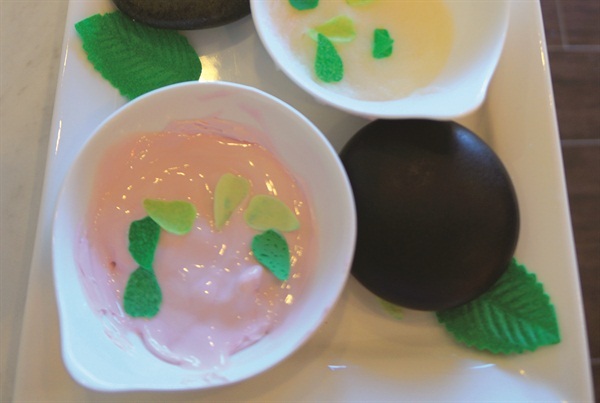 Soak the client’s hands in warm water with two to three flowers petals of soap spa refreshment deodorizing soak. 2. Prep the finger nails by cutting, shaping, and cleaning the cuticles. 3. Exfoliate the hands and arms with warmed cranberry scrub. Start by massaging the scrub into each finger, gently circling until the entire hand and arm are exfoliated. Rinse and towel dry. 4. Apply an even layer of moisture mask to the hands and arms. Massage in for silky skin. Cover with warm towels to promote full penetration into the skin. Remove after about five minutes. 5. Apply warmed massage oil to the hands and arms, and massage using circular motions. 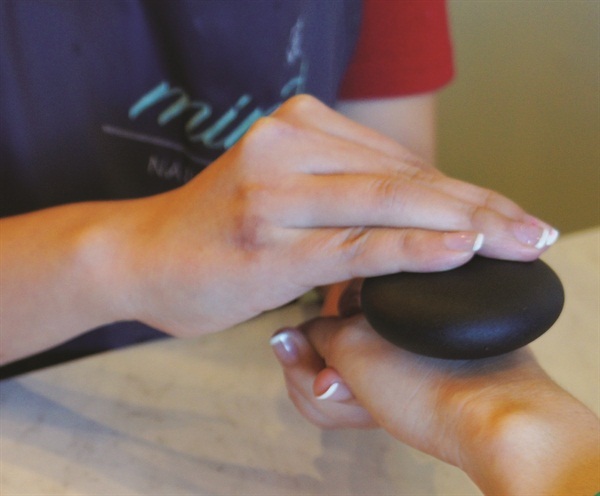 Continue the massage with a hot basalt stone to penetrate heat into the hands and arms. 6. Using warmed Black Cherry & Nutmeg lotion, massage the client’s hands and arms using deeper stroking movements and light stroking to the top of the arm. Massage the fingers by wiggling, squeezing, and rolling each finger individually. 7. Apply base coat, two coats of polish, and top coat for a smooth, high-gloss, protective shine. 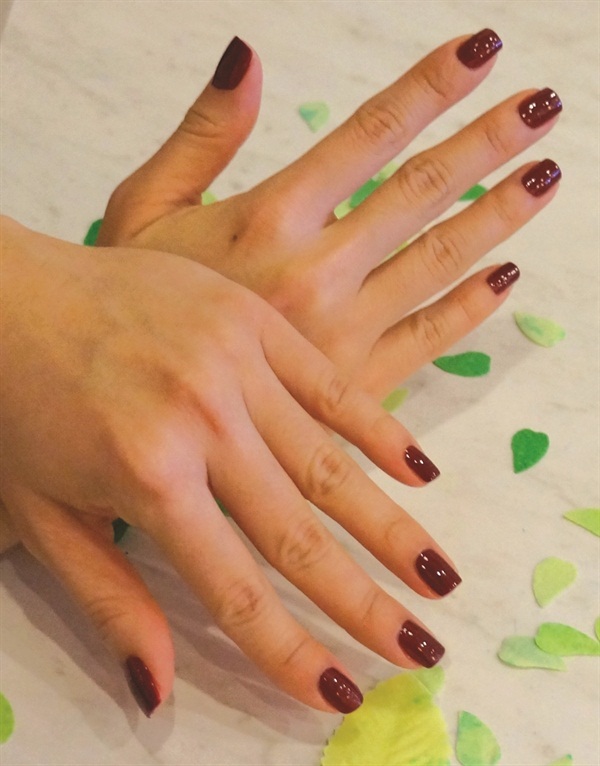 Finish with fast drops to perfect the manicure. Tweak this Recipe: Use an alternate name such as Juicy Fruit Manicure, and offer a small chilled bowl of fresh cherries, and/or a chilled cherry-pomegranate mimosa. A substance capable of causing inflammation of the skin, eyes, nose, throat, or lungs.